It may just be the end of yet another weekend, but club football continues this week, especially in Europe’s top 5 footballing countries: England, Spain, Italy, Germany and France. In England this week, the third round of the Carabao Cup will be played on Tuesday and Wednesday. Out of the 16 games to be played, there are a number of exciting clashes set to take place. Liverpool will face Chelsea in the first of two meetings in a week between both sides. Both sides are few of the teams in England that have yet to lose a game this season. Being a cup tie, one team must lose for the other to progress. Which of these two teams would lose first? Wolves vs. Leicester, Tottenham vs. Watford and Everton vs. Southampton are the other top games set to the played in the EFL Cup this week. In Spain, action continues in La Liga this week. Barcelona’s 2-2 home draw means they’re now level on points with Real Madrid on the log table. Only goals difference seperate the two clubs. Lopetegui’s men will be looking to score as many goals as possible in their next La Liga game against Sevilla. While Real Madrid has remained unbeaten in the league, they have not managed to defeat Sevilla away from home since 2015. While they try to change that poor away record, Valencia will try to get the better of high-flying Celta Vigo who has scored 2 goals in each of their last 4 games. The past 5 meetings between of these four sides has ended with both teams scoring. Will it happen again this week? Inter Milan vs. Fiorentina is the stand-out game from the 6th round of games in the Serie A. Luciano Spalletti’s men needed a late winner against Sampdoria in a game that saw three goals cancelled by the ref. Internazionale will have to find a way past Fiorentina’s sturdy defence – a defence that has only conceded 3 goals this season. In other games, it’s AS Roma’s turn to face a compact Frosinone side while AC Milan travel to Empoli with a mind of shutting out late goals and getting all three points. In Germany, unbeaten Hertha Berlin travel to face Werder Bremen while Bayern Munich continue their cruise to anothet Bundesliga title when they welcome Augsburg. PSG may be leading the pack in France but, Montpellier, with only 4 goals conceded, have the best defence in the league. While the table-toppers face Reims, Montpellier will travel to face Caen. The past six meetings between Dijon and Lyon have produced Over 2,5 Goals. 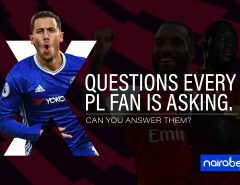 Do you think there will be at least goals scored in their encounter on Wednesday? 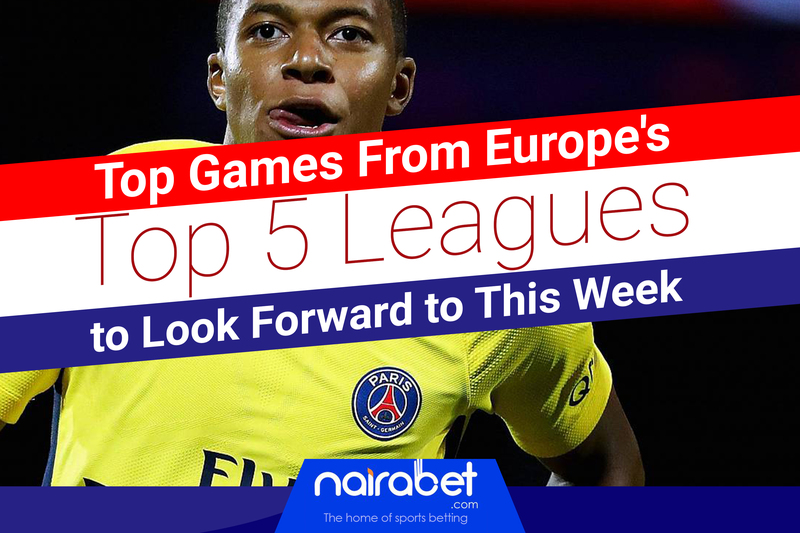 We’ve just been able to touch on a few games – out of the over 35 games – set to be played in Europe’s top 5 football leagues this week. Which of these games will you be adding to your winning ticket this week? Leave us your comments and share your thoughts with us.